The CATI Tech Team has been hard at work this year documenting all of the new features in SOLIDWORKS 2017. In looking through their blog articles one new feature that stood out was the new Reliability Reporting and Reboot Check in 2017. 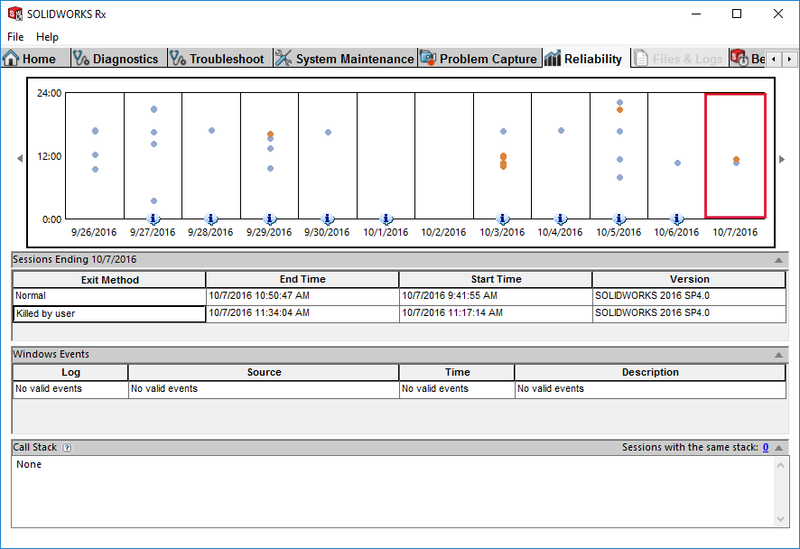 When users report that their system is crashing constantly with the new Reliability tab in SOLIDWORKS Rx we are now able to review your session history and better equipped to troubleshoot your issues. The data is collected for a 60-day window! In addition to the reliability information there is a Reboot Check that can give support more insight to the behavior of your system. 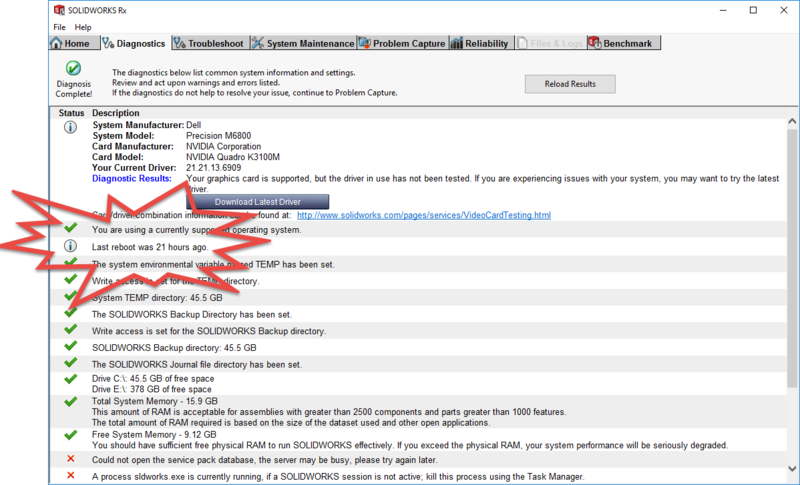 SOLIDWORKS 2017 has added the Reboot Check on the Diagnostics tab in the Rx tool. Check out this new feature and make sure you have rebooted recently! These are just some of the great new additions to SOLIDWORKS 2017 that is putting more information at your fingertips to help you know exactly what is happening with your system, and to giving you much more information to share with tech support when you are experiencing problems. Click here to read Bryan Pawlak’s full article on Reliability Reporting and Reboot Check. For all of the CATI’s Support Teams articles visit the CATI Blog on SOLIDWORKS 2017 What’s New.